Thanks for joining us at The Scoop! Here...good friends visiting, beautiful weather and festivals in almost every little town in the area made for a wonderful weekend! I hope yours was wonderful, too! Sooo...let's keep the festivities going and get on with the party! After all, it wouldn't be a party without the guests! Last week was a fun week for us here at The Scoop as we hosted our very first tablescape tour for spring! 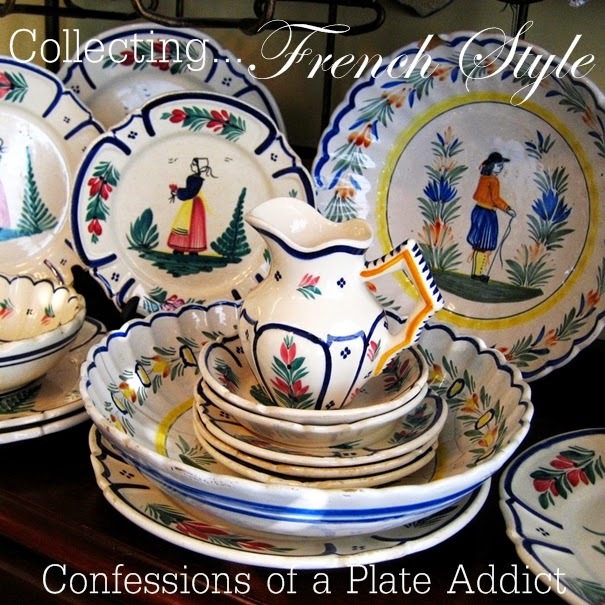 I finally put together a tablescape that has been cooking in my brain for a long time...in blue and white, of course! You can see it and more inspiration for spring from some very talented bloggers here. And now, before we start this week's party, I want to share a few of the posts from last week that caught my eye! Isn't this a great idea? 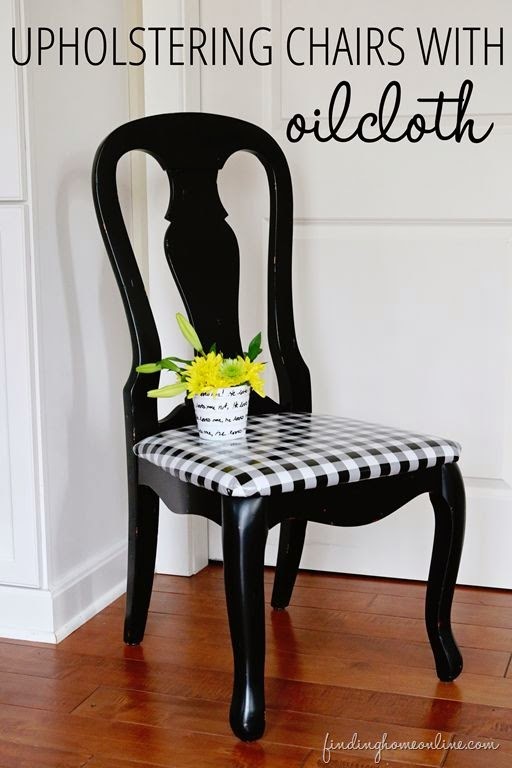 Finding Home showed us how to Upolster a Chair with Oilcloth. Fabulous looking and waterproof...the perfect combination! 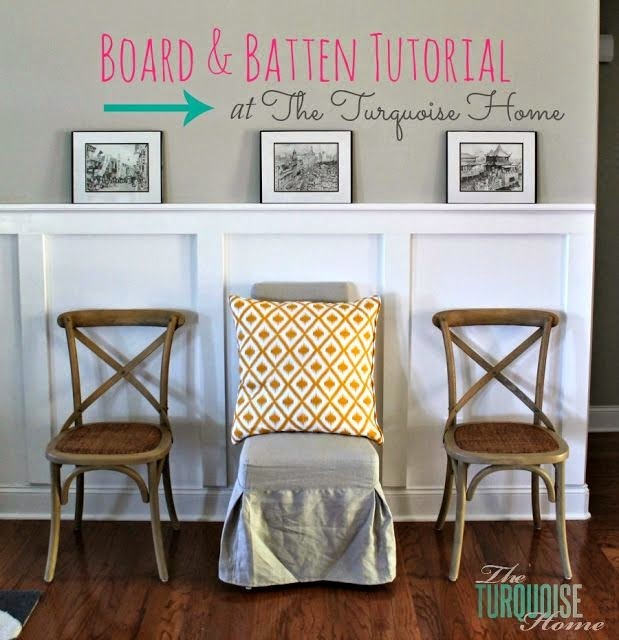 The Turquoise Home shared her Tutorial for Adding Board and Batten...something that has been on my mind for my own home! You know that a dessert will be good when its ingredients include all of your favorites! 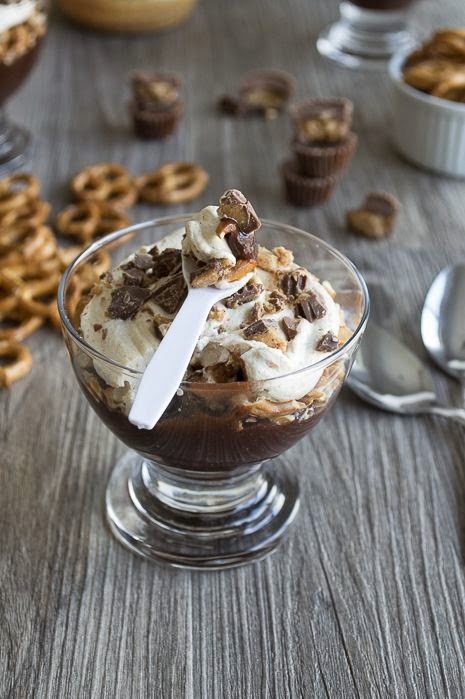 The First Year shared her recipe for Chocolate Peanut Butter Pretzel Pudding Parfaits with Reese's Crumbles! And finally...is this a cute idea or what! 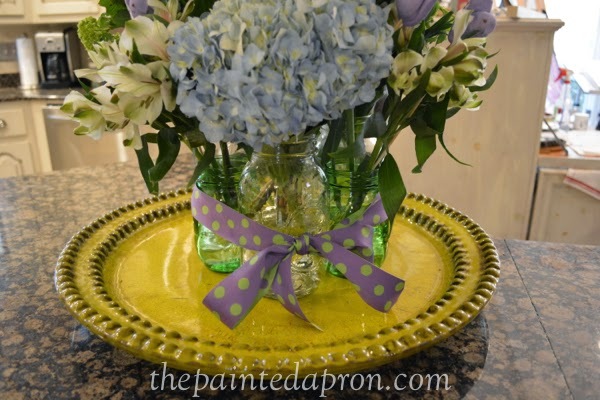 The Painted Apron gathered up a Ball Jar Bouquet...filled with pretty flowers and tied with a festive ribbon! And now...let's see what you've got! Thanks for the party, Debbie! Have a great week! Thanks, Debbie for hosting another great week of sooo much inspiration. I don't know how you gals can choose, there's so much! 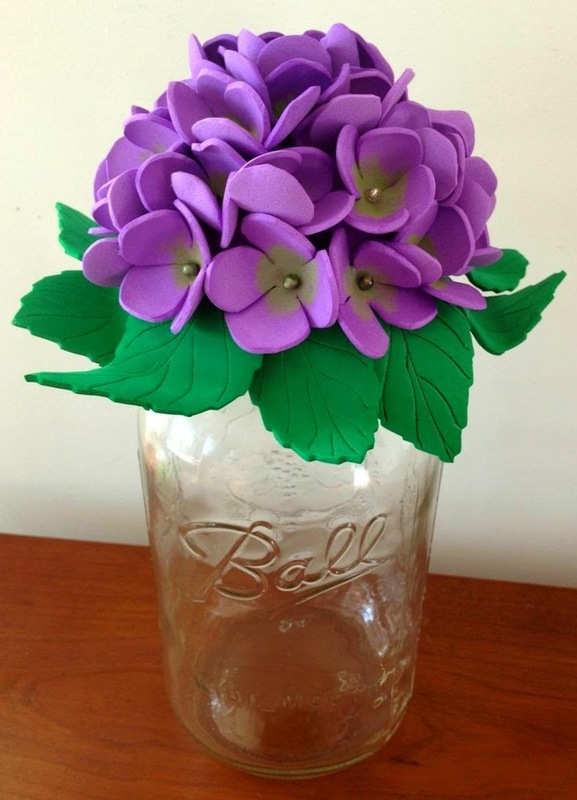 Thanks so much for featuring my hydrangea decorative tops and for hosting these awesome linky parties! Hi Debbie! Thanks for sharing our pudding parfaits this week - have a terrific Monday! And thanks for having us week after week! I love this party. Thanks, Debbie and girls!